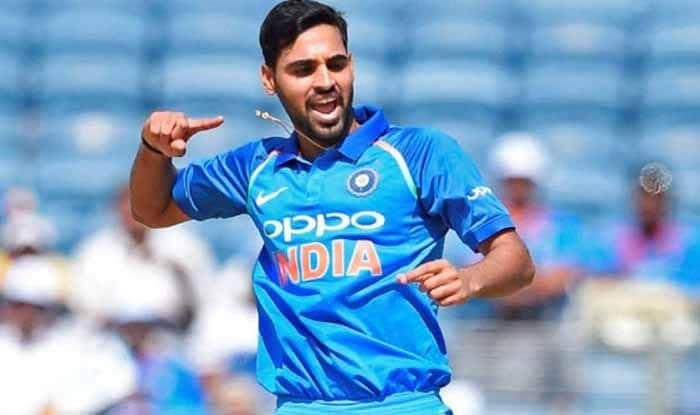 In absence of Bumrah, it is largely expected from Bhuvi to provide India the initial breakthroughs with the new ball in the ongoing three-match ODI series vs Australia. India vs Australia 2nd ODI Adelaide: Carrying the mantle of India’s pace bowling attack in absence of Jasprit Bumrah, Bhuvneshwar Kumar is putting in the hard yards during the training session ahead of the second ODI against Australia in Adelaide. After missing out in the four-match Test series, Bhuvneshwar made a return to India’s playing XI in the first match in Sydney which the visitors lost by 34 runs. The Indian fast bowler accounted for the wickets of Aussie captain Aaron Finch and middle-order batsman Peter Handscomb. In absence of Bumrah, it is largely expected from Bhuvi to provide India the initial breakthroughs with the new ball. He aced his role perfectly in Sydney with a dream first spell but failed to carry his form in the death overs which resulted in a stiff total from the home side. In Team India’s latest training session, the 28-year old Bhuvi was seen practicing some ‘Yorkers’. He feels Yorkers are absolutely essential when it comes to limited-overs cricket and they have the ability to bamboozle the best of the batsmen. Earlier, young Shubman Gill, the 2018 U-19 World Cup hero, earned his maiden India call while all-rounder Vijay Shankar was recalled to replace the suspended duo of K.L. Rahul and Hardik Pandya. While Shankar will join the team before the start of the second One Day International (ODI) in Adelaide and will be a part of the squad for the ODI series in Australia and the tour to New Zealand, Gill has been picked only for the ODI and T20I series in New Zealand. The BCCI had earlier suspended and sent Rahul and Pandya back home from Australia after their alleged “sexist” comments during a popular television chat show.